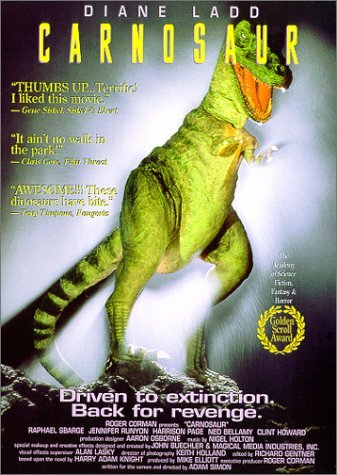 On this podcast Kevin covers Carnosaur (1993). A brilliant geneticist, Diane Ladd, plans to expose a lethal virus to every human being on the planet. Her objective: to destroy humankind in favor of her new strain of prehistoric dinosaurs. Two people stand in the way of her diabolical plan, a cynical night watchman and a lovely idealistic environmentalist. The two must overcome their differences long enough to uncover the scientist’s scheme and fight her carnivorous creations in a desperate battle against the extinction of the human race. You can support our podcast by purchasing Carnosaur on DVD here.